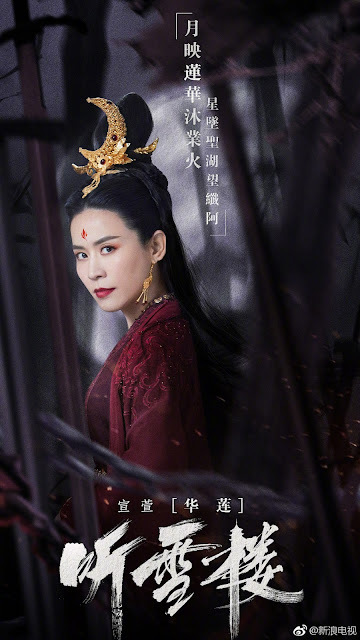 Listening Snow Tower 听雪楼 has just announced more cast members to join the wuxia drama led by Qin JunJie and Yuan BingYan, and among the names is Hong Kong actress Jessica Hsuan. She was one of TVB's top stars during her heyday and basically counts as leading lady material until today. Her casting as the villain is an interesting reversal, and it may be her first time ever playing the bad guy. She plays Hua Lian, the fearsome leader of Bai Yue Sect. I like that she's owning the fierceness as the lady in red. It's the same color that the leading lady is wearing, but completely different in aura. I found the remaining three cast members familiar as well. Lin Yuan played the heroine in City of Devastating Love (Did not like her portrayal at all, but maybe that was a one off). Zhao DongZe's addition marks his reunion with Qin JunJie after playing brothers in Peace in Palace, Peace in Chang An. 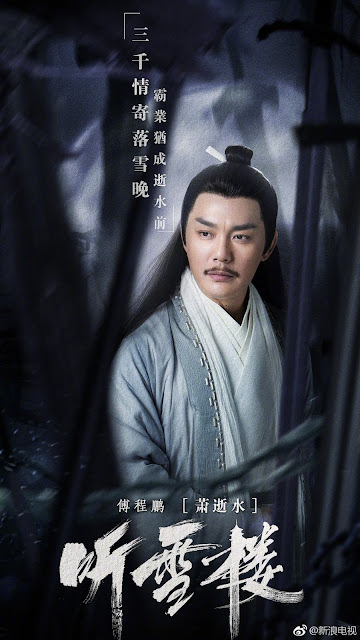 Fu Cheng Peng was Gui Wang in Legend of Chusen. He was a villain and Zhao LiYing's father in the drama. 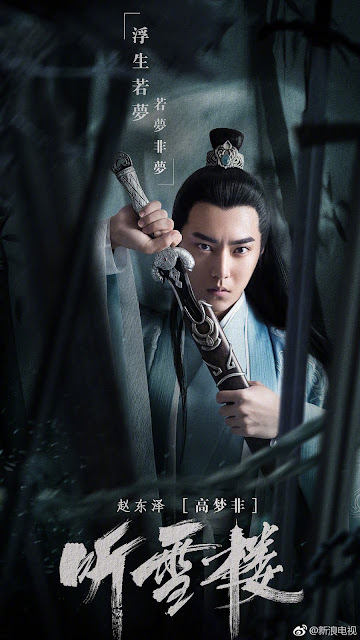 This time around, he will be playing the father of the main protagonist. Jessica looks stunning! 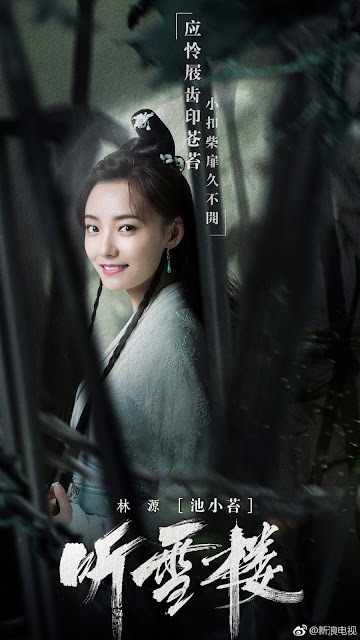 She did play an evil role before, well not that evil too, just sort of like Zhen Huan and also in a Qing dynasty setting. Gosh speaking of that stupid show it boils blood! She just ended up in a hot air balloon saying things like her relationship with the king is over, then the drama ended right there! I felt that the idiotic king rejected her at the end because she put on too much evil make up, not because she was evil. The things she did was actually reasonable and should've happened way at the beginning of the show. If it was any other lady, a Frea*** Ho* like him should just be left to die without any help already.